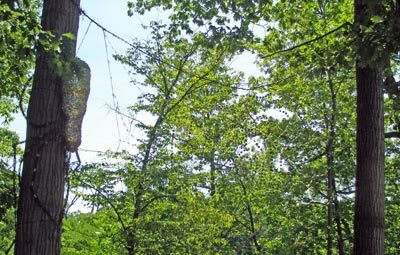 Where is Arachne weaving her web? 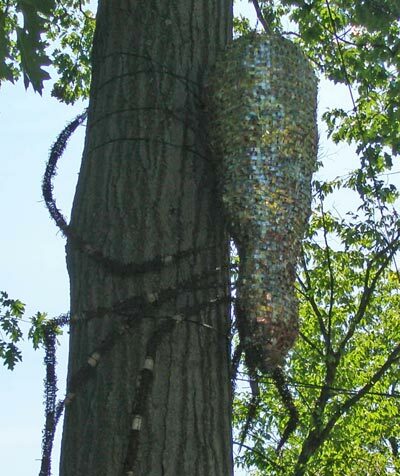 This spider and web was created by Cleveland Heights artist Debbie Apple-Presser out of recycled materials such as pop cans, bottle caps, paperclips and old jewelry. 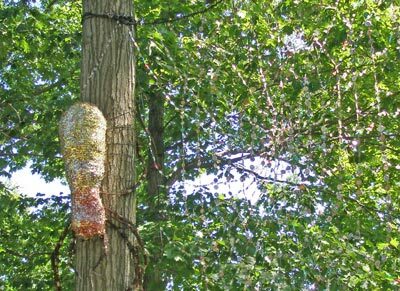 The art can be found at Horseshoe Lake in the Shaker Lakes area in Shaker Heights. 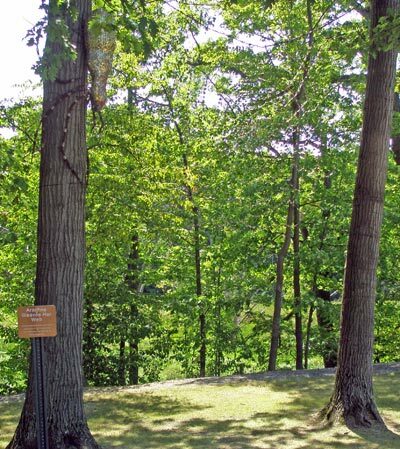 In 1822, Ralph Russell, a Connecticut pioneer who had settled in Warrensville Township ten years earlier, founded the North Union Shaker Community. 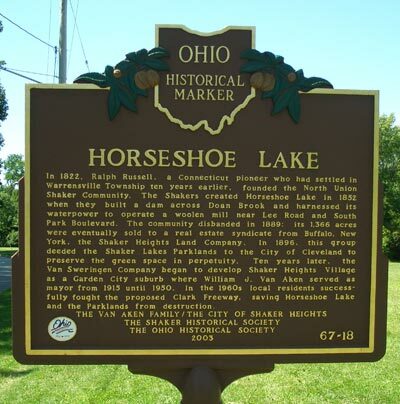 The Shakers created Horseshoe Lake in 1852 when they built a dam across Doan Brook and harnessed its waterpower to operate a woolen mill near Lee Road and South Park Boulevard. The community disbanded in 1889; its 1,366 acres were eventually sold to a real estate syndicate from Buffalo, New York, the Shaker Heights Land Company. 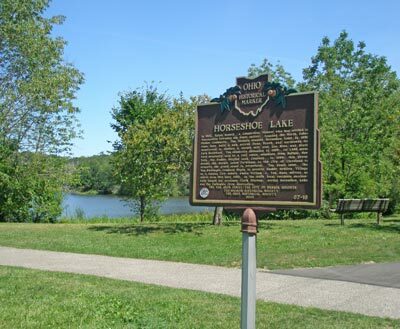 In 1896, this group deeded the Shaker Lakes Parklands to the City of Cleveland to preserve the green space in perpetuity. Ten years later, the Van Sweringen Company began to develop Shaker Heights Village as a Garden City suburb where William J. Van Aken served as mayor from 1915 until 1950. 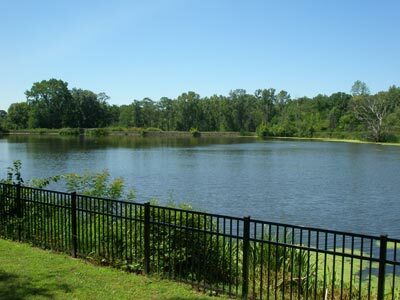 In the 1960s local residents successfully fought the proposed Clark Freeway, saving Horseshoe Lake and the Parklands from destruction.